I am delighted to welcome you to the website of Amazing Grace Private School. AGPS is a South African School in the heart of Randburg and a taxi ride away from at least eight surrounding suburbs. We are part of the ever-expanding Enko Education Group; an African wide network of schools designed to offer affordable, effective education which will unlock student potential, create leaders and act as a launch pad for the best universities in the world. AGPS offers the CAPS curriculum (Curriculum Assessment Policy Statements). 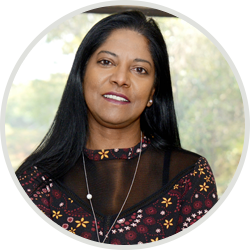 CAPS is the South African National policy set out by the Department of Education that states what should be included in the curricula of schools from grades R to Grade 12 and is compliant with the entrance requirements for all South African universities. At AGPS, we go beyond the curriculum. We have learners from all over Africa which makes diversity part of our DNA. We offer every learner the chance to be multilingual. Our current offering includes English, isi Zulu, Sesotho and French. English and French are compulsory in the Foundation phase. Because of our very manageable numbers, we are able to nurture each student and provide all of them with a safe, clean and welcoming environment in which they can learn, grow, make friends and aspire to great heights. Amazing Grace Pricate School is opened to students aged from 5 to 19 and from Grade R to 12. 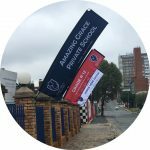 Amazing Grace Private School is located in Ferndale, Randburg. We aim to provide our learners with a launchpad to the best universities.